Three cheers for free vasectomies? Some people will do just about anything for NFL playoff tickets, and one Colorado doctor was willing to offer his services for free for tickets to the AFC Championship Game in Denver. Dr. Steve Broman offered to perform a vasectomy for free in exchange for tickets to the Denver Broncos’ matchup against the New England Patriots on Sunday. 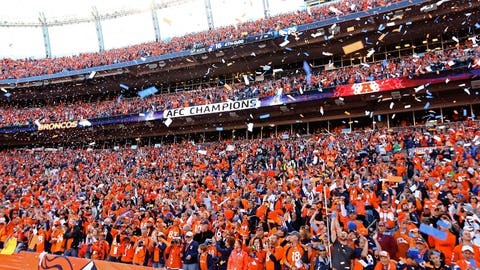 Broman, who is a Broncos season ticket-holder and is already going to the game, said the tickets would be for his staff to go to the game, according to USA Today. “The only people who wouldn’t have to pay me in tickets is Tom Brady, but I’d have to do the operation before the game,” Broman said. Broman made a similar offer in 2006, when the Broncos played the Pittsburgh Steelers. Broman said he came close to making a deal, but it eventually fell through. Before the Broncos beat the Patriots on Sunday, Broman said he’d make a similar offer for Super Bowl tickets.